Power press brakes are similar to mechanical power presses in that they use vertical reciprocating motion and are used for repetitive tasks. Press brake operation is either mechanical or hydraulic. Press brakes are either general-purpose or special-purpose brakes, according to ANSI B11.3, Safety Requirements for the Construction, Care, and Use of Power Press Brakes. § Foot controls being inadvertently activated while the operator’s hand is in the point of operation. The likelihood of this type of injury increases as the size of stock decreases and brings the operator’s hands closer to the point of operation. 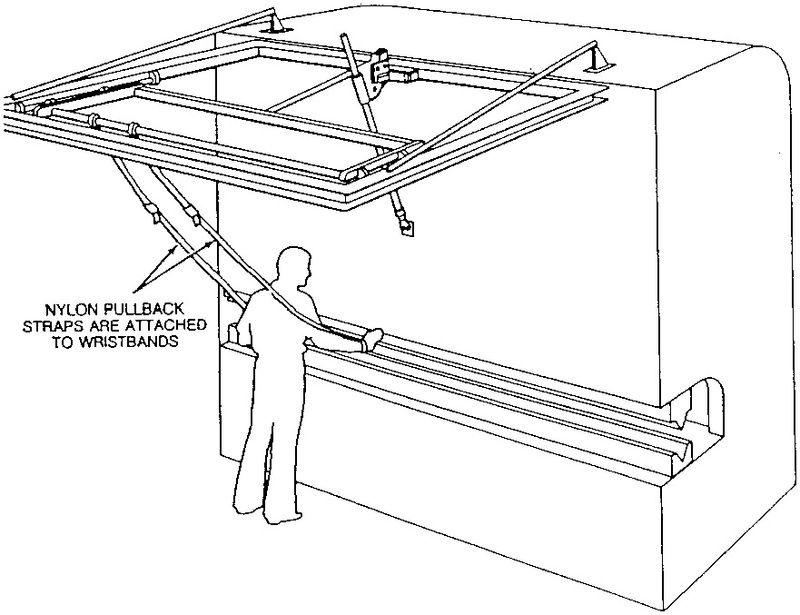 § Parts of the body caught in pinch points created between the stock and the press brake frame while the bend is being made. § Controls of a single-operator press bypassed by having a coworker activate the controls while the operator positions or aligns stock or repairs or troubleshoots the press. § Failure to properly lockout/tagout presses or to have an alternative measure that provides effective protection for safety during the necessary tasks of making adjustments, clearing jams, performing maintenance, installing or aligning dies, or cleaning the machine. An operator was bending small parts using an 80-ton unguarded press brake. This required the employee’s fingers to be very close to the point of operation and consequently, the operator lost three fingers when his hand entered the point of operation. The operator on the previous shift had reported to the supervisor that the operator placed his fingers close to the point of operation, but was told nothing could be done but that the operator should be careful. Engineering controls, work practices, and administrative controls can be used to effectively guard power press brakes. Engineering controls such as presence-sensing devices are sometimes used to safeguard power press brakes. 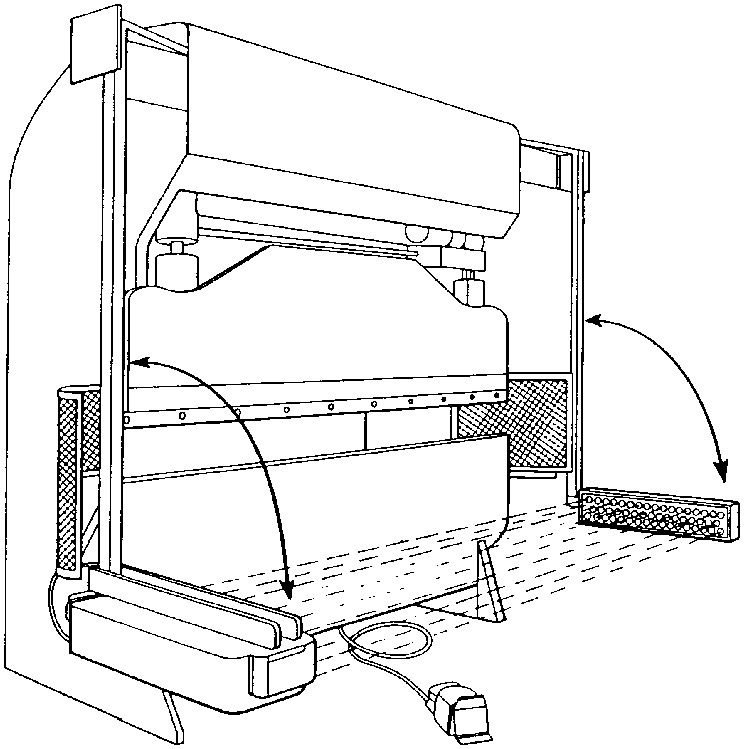 When installed on special-purpose press brakes, these devices may require muting or balancing to allow the bending material to move through the protected zone. Always ensure that these devices are properly adjusted for the specific stock and task to be performed. Failure to adjust the device could leave it “blanked out” in certain areas and expose operators to point of operation hazards. Be sure to safeguard general-purpose power press brakes by location, or by barrier guard, pullbacks, or restraints when operated by a single operator and helper. Other forms of helper safeguarding are ineffective and not applicable to general-purpose power press brakes. Special-purpose power press brakes are equipped with advanced control systems that are adaptable to all forms of safeguarding concepts and devices, such as two-hand controls and multiple operator/helper actuating controls. Use anti-repeat devices to protect operators at the point of operation on special-purpose power press brakes to comply with ANSI B11.3. Under some conditions, absolute safeguarding of power press brakes may be impractical. This is especially true for press brakes used to process small-quantity runs involving the fabrication of unique pieces. When absolute physical guarding is impractical or infeasible for small quantity runs, OSHA recognizes the use of a “safe distance” as an alternative safeguarding method. § Use foot pedals only with other guards or devices but keep a safe distance between the operator’s hand and the point of operation when the use of such safeguards is not feasible. 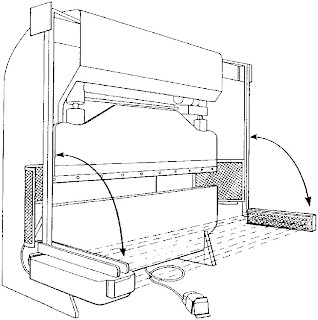 § Be certain that the stock size is large enough to ensure that the operator is unable to reach into the point of operation during the down stroke when a foot control is used to stroke the press brake. § Don’t ride the foot pedal. § Protect foot pedals from accidental activation and continuous cycling. § Use hand-feeding tools for operations when the operator’s hands come closer to the point of operation as the size of stock decreases. Ensure that all power press brake operators receive appropriate training from experienced operators and supervision until they can work safely on their own. Develop and implement safe operating procedures for power press brakes and conduct periodic inspections to ensure compliance. Require workers to perform servicing and maintenance activities under an energy control program in accordance with §1910.147.